Be the first to share your favorite memory, photo or story of Rev.. This memorial page is dedicated for family, friends and future generations to celebrate the life of their loved one. Rev. Carl Edward “Eddie” McKeel, 62, of Goldsboro, was called home on Sunday, November 11, 2018 to the loving arms of Jesus Christ his Lord. Eddie was born in Wayne County on July 29, 1956 to Ralph Edward McKeel and Nancy Williams McKeel of Goldsboro. After accepting the call of God on his life, Eddie pursued an Associate’s Degree from Heritage Bible College. He served as pastor for three Pentecostal Free Will Baptist churches: Faro Chapel in Faro, Brogden in Dudley and Calvary Tabernacle in Salemburg. Eddie’s faith in our Lord and Savior Jesus Christ was his anchor. Eddie had a great love for children and served for many years at youth camps in Dunn, Camp Friendship and the camp for young children. He had been a faithful member of Pikeville Pentecostal Free Will Baptist Church where he used his many abilities to share the love of God. His sincere smile, enthusiastic love of life, and concern for all people endeared him to those he met. 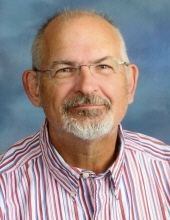 Eddie also worked for many years as a teacher’s assistant with Wayne County Public Schools and was serving currently at Rosewood High School. He also enjoyed floral design and would assist Carpel’s florist in Goldsboro during special seasons. Eddie will be missed but will be greatly remembered. The family will receive friends on Thursday, November 15, 2018 from 5:00 – 7:00 p.m. at the Pikeville Pentecostal Free Will Baptist Church followed by a service to celebrate Eddie’s Christian life at 7:00 p.m. in the sanctuary with Rev. Don Sauls, Rev. Charles Heath and Rev. Horace Johnson officiating. At other times, the family will be at the home of his parents, 1800 Friendly Drive, Goldsboro. A private interment for the family will be Saturday in Pikeville Cemetery. In addition to his parents, Eddie is survived by his wife of 41 years, Lovie Powell McKeel; son, Allen Daniel McKeel of the home; daughter, Lindsey McKeel Haithcock and husband Robert “Dub” of Pikeville; and sister, Cindy M. Lancaster and husband Richard of Cary. He is also survived by his brother-in-law and sisters-in-law, John and Carolyn Powell and Christia Smith; niece, Mindy Lancaster Rovito and husband Julian; niece, Lauren Smith; nephews, Miles Smith, David Powell and Andrew Powell; and great-niece, Macy Tyler Lancaster. He was preceded in death by his brother, William Gregory McKeel; his grandparents, Jodie and Dovie Crumpler McKeel and Carl and Louise Thompson Williams; and nephew, Tyler Daniel Lancaster. In lieu of flowers, the family suggests memorials be given to the Crusader Youth Camp, P.O. Box 1568, Dunn, NC 28335. To send flowers or a remembrance gift to the family of Rev. Eddie McKeel, please visit our Tribute Store. "Email Address" would like to share the life celebration of Rev. Eddie McKeel. Click on the "link" to go to share a favorite memory or leave a condolence message for the family.